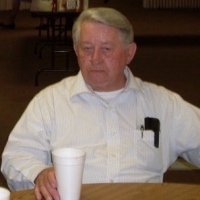 Brother "Shorty" Estes was born in Iredell County and has been a life long member of Fern Hill Baptist Church. He has served faithfully as Chairmen of the Deacon Board for several consecutive terms as well as Sunday School Superintendent. Under his leadership Fern Hill makes sure to pay homage to those members both past and present. Brother "Shorty" faithfully carries out his duties as Chairman of the Deacon Board by leading from the front. Brother "Shorty" is faithful in the visitation of the sick, faithful in attending all services and special events, and can without hesitation tell you where the nearest Revival or Gospel sing is being held. Brother "Shorty" can always be found with a big cup of coffee in his hand and a warm smile on his face.